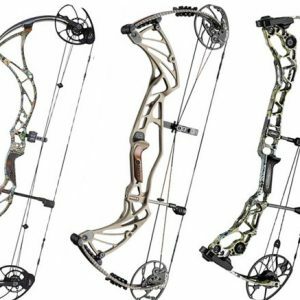 How long does it normally take to make a Custom Bowstring? It usually takes 5 to 10 business days but during the hunting season it may take up to 2 to 3 weeks to get your order made and shipped out. It pays to look at your equipment and order ahead of hunting season so there is not much of a waiting period to get your new strings. What the differences in material per string brand? Astro Flight material is 100% HMPE a Ultra-high-molecular-weight polyethylene. XCEL and 452x are blended materials made of Dyneema and Vectran. 8190 is 100% HMPE with a strand of gore fiber. BCY X is 83% SK90 Dyneema and 17% Vectran. Which material offers the greatest speed increase? Astro Flight offers the greatest strength per strand. And for speed usually a increase of 3 to 4 fps is standard but some bows have had an increase of almost 10fps after proper timing. Can I use the same material for both string and cables? Yes you can, all these materials for compounds and some recurves for they have outstanding strength and stability. What is a tri-color string? Tri-colored string is a string that has 3 different colors on one strand of string. It is not 3 seperate strings in one. Why do you offer so many options? We offer so many options because we want our customers to have the same options we ourselves would want to choose from. 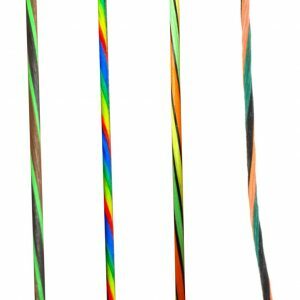 What is a Buss Cable? A Buss Cable looks like a (Y) and is the cable on your bow that connects the bottom cam to the top limb and on the top cam the buss cable connect the cam to the bottom limbs. The yoke ends connect to the outer bushings on the axles and on some bows inside the limbs next to the cams or they can be installed in a slot cut into the limb tips. There can be 1 or 2 on some bows. A Control Cable or Aim Cable is a cable that has no split on either end like the buss cable has. The control or Aim Cable connects to the top and bottom cam and NOT to the axle pin bushings located on the outer limb tips. This cable looks like a bowstring without the center serving. Aim Cables have one end that connects to the cam and the other to the inside of the limb on the axle pin. 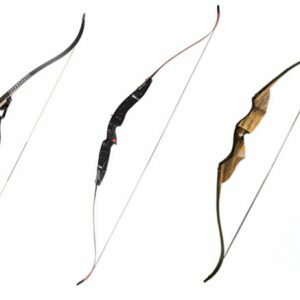 What type of maintenance do bowstring materials require? It is very important to wax your bow strings and cables on a regular basis but this is often the most neglected step in maintenance. Brownell wax is formulated to be compatible with all bow string materials. If you shoot a lot or your bow is exposed to the elements, wax at least every two weeks. Never expose your bow to extended periods of extreme heat such as in a closed vehicle during the summer months. This will depend on several factors such as cam design, shots fired and regular maintenance. With good maintenance a target or 3D shooter should replace the strings and cables every year and the average bowhunter every two to 3 years. Pre-Stretching is where we put your string on a stretching machine and remove any slack your string will have so when you put the string on your bow its perfect and ready for your tuning to get your proper draw length and shooting style. Strings may still require a shoot in period. 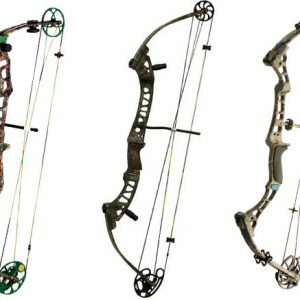 Your new bowstrings and cables are warranted for a period 1 year for peep sight rotation, creep, serving separation, craftsmanship and manufacturing defects in materials from date of delivery. The use of a string separator to install a peep sight voids all warranty. 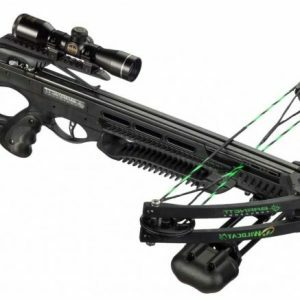 Strings should be slack or loose when installing peep sights to prevent damage. Burning the string also voids the warranty. End loop servings are not covered under any warranty because of edges on pegs and some times tools are used to put loop over peg which can break loop serving. Any warranty work needs to be mailed in to us and there are no exceptions. After I install the new string and cables will I have to worry about timing? Yes you will, every bow will need to have a little tweaking done to them to get the cam or cams set as close to what is called perfect timing. This will help the bow to shoot at its best performance level. Adjustments are made with the cables for timing. String should be only twisted to help align the peep sight if used. I am getting some damage at the cable slide why is this happening to my string? What causes this is that a very small piece of dirt or other foreign object has stuck to your string or in your Teflon slide and every time you draw and shoot its being pulled over this area cutting into the string or cable. This needs to be fixed right away by cleaning the Teflon slide and your string or by replacing the slide. If the damage is bad enough then the string should be replaced along with the slide to prevent this from happening to the new string. This is not covered under warranty. How do I measure a solo cam string set?